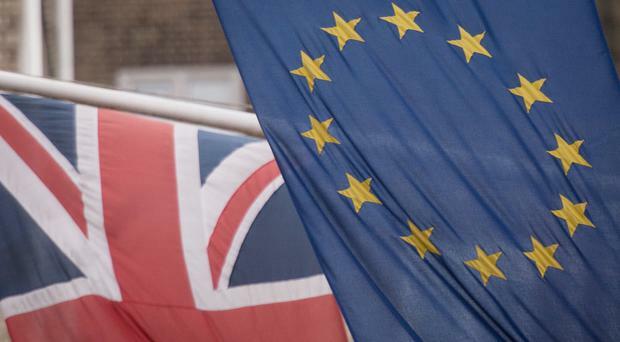 A leaked draft deal which could see Northern Ireland avoid a hard trade border with the Republic would be "fantastic" news for thousands of companies here and attract investment, it's been claimed. But a UK Brexit deal which could see Northern Ireland stay aligned with key EU laws and regulations after Brexit was scuppered amid a backlash from the DUP, with leader Arlene Foster warning it would not accept "any form of regulatory divergence" from the rest of the UK. Northern Ireland Chamber president Ellvena Graham said businesses now needed clarity and pragmatism from negotiators. Seamus Leheny of the Freight Transport Association, said the proposals could "help attract inward investment" with Northern Ireland "a bridge between the UK and EU". But Mr Leheny said checks would be required between Northern Ireland and the rest of the UK. He called the potential deal “a good thing from the movement of goods and supply chains”. "It's fantastic, and what our members wanted. "The question is, going forward, if Northern Ireland is aligned to the EU... what happens between Northern Ireland and GB? "There would have to be checks between Belfast and Liverpool, for example." Mr Leheny said, without some form of checks system at UK ports, goods could be brought into the EU through Northern Ireland, and into the Republic. "We are anxious to find out the detail, but ultimately it's something we would welcome, that goods will not be inhibited across the border." Ellvena Graham, president of the Northern Ireland Chamber of Commerce and Industry, said there remains a lack of clarity for business here. "The companies we work with want a trade relationship between the UK and the EU that is tariff free and which takes account of the all-island supply chain, particularly in the crucial agri-food sector. "Northern Ireland Chamber has long been urging negotiators to reach a pragmatic agreement on withdrawal issues, so that we can move on swiftly to transition and trade talks." Stephen Kelly, chief executive of Manufacturing NI, said: "The UK Government's commitment is a sensible one. "The priority continues to be to get a good deal for the UK and the EU which would mean that trade as we know it can continue without additional cost or barriers. "On the event that this isn't possible, then aligning some standards on the island and having mutual recognition of a Northern Ireland origin status in both the UK's internal and the EU's single markets would allow goods to be freely traded. "Administered and audited at the point of production, this would be a minimal burden on business."